I'm loving tops with pretty collars lately, and of course polka dots...so when I received this top I instantly fell in love. It's got so much character and I feel so pretty in it :) I love getting pieces that make me step out of my comfort zone a bit, I usually end up loving them and it expands my sense of style. I've had this skirt for a couple of years now and it's such a great color to pair with almost anything. 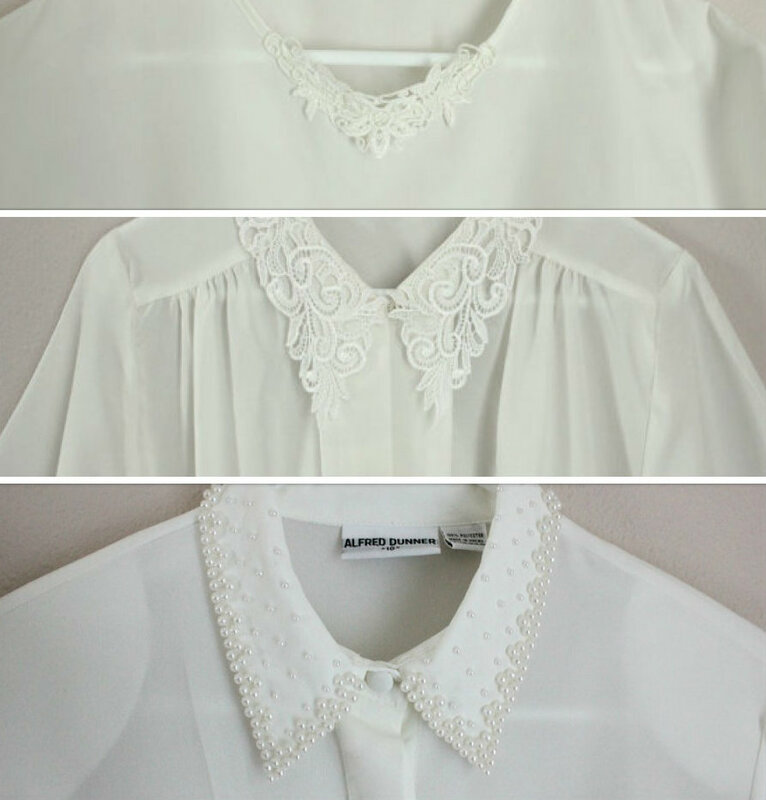 I also have some pretty tops with pretty collars in my shop! Ah! I love this color scheme! Awww, you look so cute!! Great blouse and collar! I love the collar on this dress and the skirt is so perfect with it! This blouse is just so perfect. So pretty! Love the romantic tones in your entire outfit. The soft neutrals are just beautiful. Don't you love a piece that does that! It's so fun to expand your comfort zone and experiment. Love the collar. Your top is really cute. Such a pretty top, and I love the colour of the skirt. Gorgeous, as always. 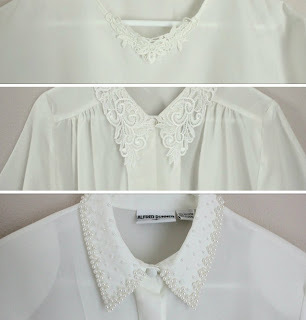 :) I've been loving pretty collars lately too! They give just the right touch to any outfit. 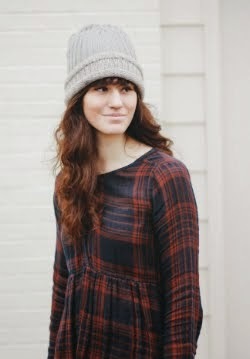 Wow, I am utterly in love with that top! You look so pretty! I love this look. So pretty! This outfit would have been perfect for the tea party I had today! that top (& it's magnificent sparkle collar) is just magical! So adorable, I love that top !